I began last week in high spirits: Comey was coming. Then we even got a teaser with his surprisingly vibrant written testimony, which read like a short story. He worked in the phrase “hookers in Russia” while pinning the President of the United States with obstruction of justice. And pin him he did. But then we got to his in-person testimony, and about an hour into it I realized I was feeling down. Way down. But I wasn’t disappointed in what Comey was laying out. It was the opposite: Comey served Mueller a heap of impeachment cobbler. Yet I felt depressed. Filled with dread, but didn’t know what I was dreading. So I turned the hearing off before it was through and noshed a bunch of Reese’s Peanut Butter Cups I’d put in the freezer the day before. They were awesome. An hour or so later, the hearing wrapped up, the reactions and “analysis” started to come in, and I knew what the problem was. Because here comes the right-wing jackass factory, braying nonsense and distractions and withholding the full story from the Americans they purport to inform, creating confusion and outright lying and basically taking a dump into any microphone someone would offer them. Trump himself said, incomprehensibly, he felt “totally vindicated,” and his lawyer even got in on it, making the laughable assertion that Comey should be investigated. That’s what I’d been dreading: The talking points. The confusion. The abortion of context. The liars. The believers. The psychological exhaustion of trying to have a discussion online, no matter how many times you’ve been burned by deflections and conspiracy theories and the DNC and “butobama” and Seth Rich and what the hell is wrong with these people? 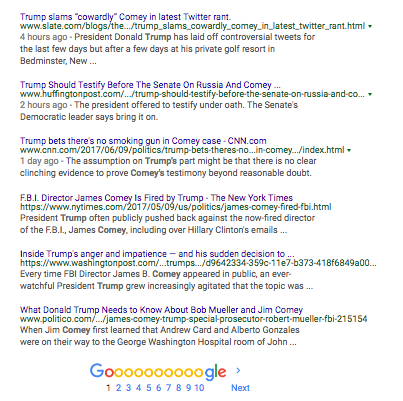 I recently wrote a piece about that apparatus, how the right-wing alt-media machine games Google to fool Americans. 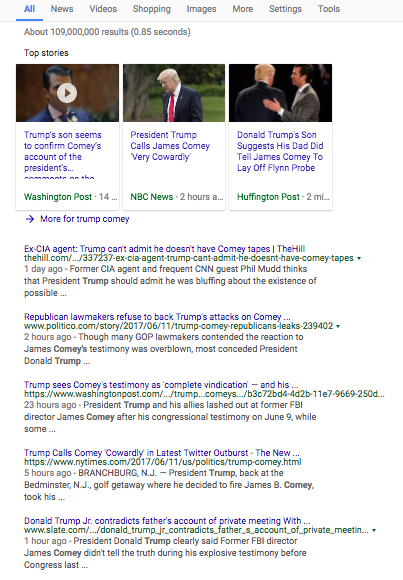 In the days after the Comey hearing I started tracking the response to the hearing in the alt-media world, and I’ve discovered a little more about how this thing works. So I’m going to build on that piece now in a real-time experiment, and you can test my hypothesis with me over the next few weeks. Hopefully, we can work day by day to take this thing down. I share my thoughts on that at the end. So here we go: how talking points are born. As I put it before, we’re at a pivotal point not just in the life of our democracy, but in how we think, read, and make choices. Selective information is being presented to us in a way that encourages selective reading and offers psychological and social rewards for—to put it bluntly—being stupid and submissive and spreading stupid to submit others. This is, of course, about the truth, and about the cognitive and emotional vulnerabilities of Americans. This is nothing new for propagandists. What’s different now is that this propaganda is being gamed by professionals in a massive, orchestrated data campaign at a volume, pace, and consistency that not only muddies the truth, but completely eclipses the truth. Hell, it destroys the very notion of truth. I can describe it in no other terms but as a psychological war. The truth about the truth is that we believe because we want to, because our ability to think independently is a point of pride for Americans. The people behind the curtain are telling us the same story we tell ourselves about ourselves. But this is also a vulnerability: independence is in its purist form a kind of division. If you exploit it correctly, you can turn a democracy against itself. If I think about this for too long, I grow terrified and want to take everyone’s computer away. But it might be too late. 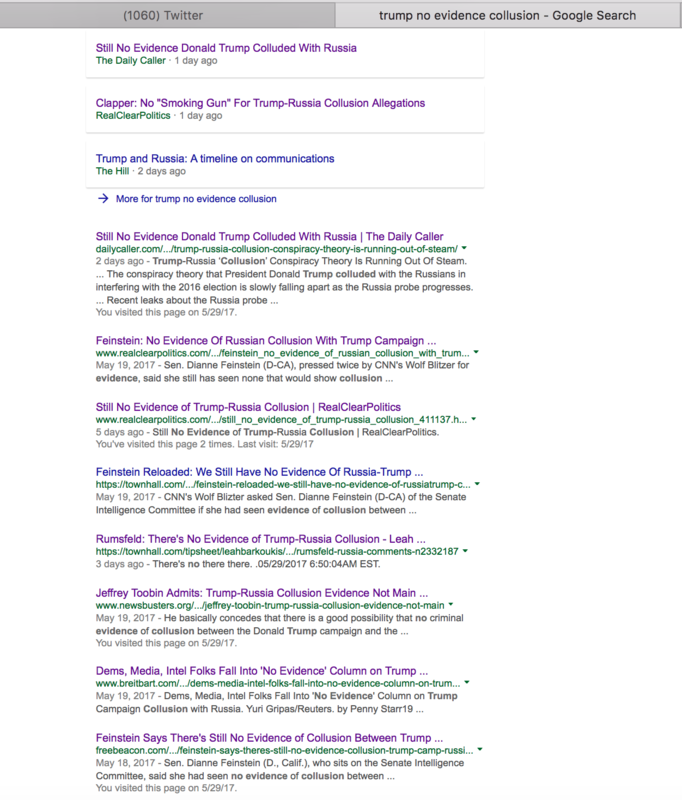 My original piece on this uses the example of keywords about Trump-Russia collusion to show how the alt-right media machine games Google to flood top results with misinformation and half-truths from dozens of obscure right-wing “news” sites. They were absolutely crushing mainstream sites, which only began to show up several pages into the searches. Yet those mainstream sources have much, much higher “domain authority” (traffic and backlinks) than all those Breitbart mini-mes. How are they getting squashed? Well, David had a slingshot. These sites have a slingshot too, but they wait until the giant falls asleep. See, the Google algorithm takes several things into account when it ranks results. Among them is the size and popularity of the site and the page, yes, but it also advantages recency. All SEO digital marketing folks worth their Yerba Mate know how this works: update, republish, and backlink frequently. You’ll up your search ranking. Think back to the example I used a week or so ago: collusion. At that time, collusion stories weren’t in the mainstream media. They’d been up there at the beginning of May thanks to the surge of traffic to stories about the Yates and Clapper hearings. But in the last two weeks, those stories had fallen out of the news cycle. 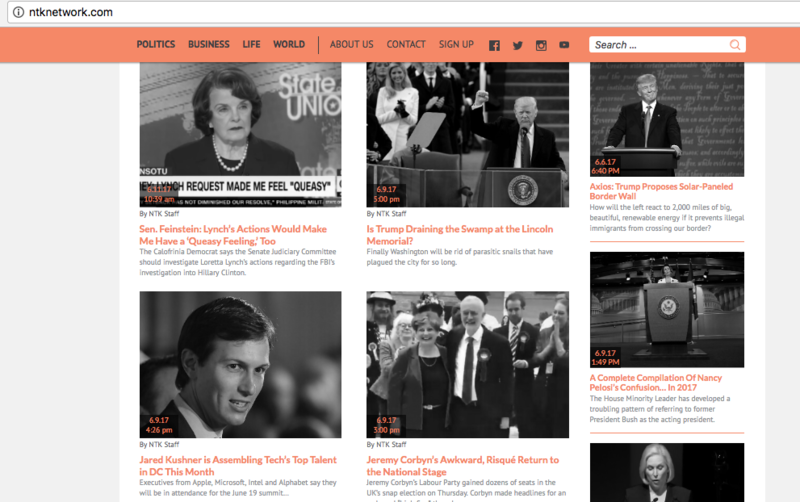 In their place were dozens of sites publishing misinformation using nearly identical language and headlines—in some cases verbatim. Check out that other piece for a breakdown of that story. - Comey is the leaker. He should be investigated. 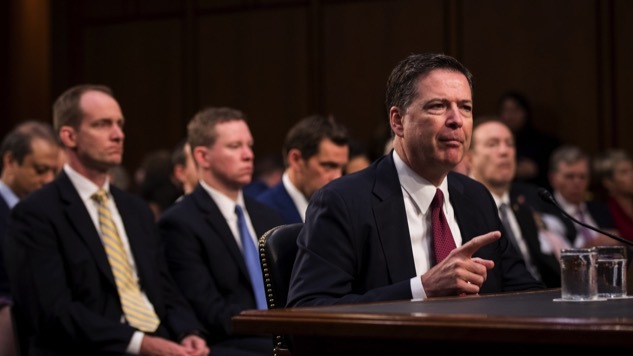 - Comey totally exonerated Trump: he’s not the target of an investigation. 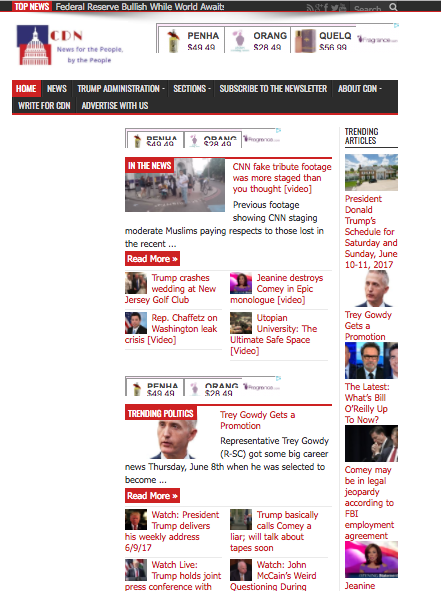 This Russia story is fake news! 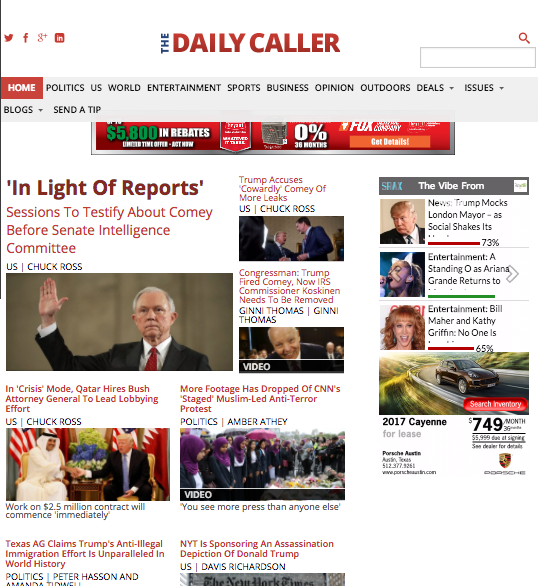 - Trump didn’t direct Comey to close the Flynn case! He said he “hoped” Comey would let it go! You know all about “hope,” libs! - There’s no case for obstruction of justice. And yep, we’ve heard that from the mouthbreathers at the top of the food chain. In fact, Mr. Trump, no doubt still terrified, felt compelled last night to let the world know he was worried about impeachment but had taken comfort in Geraldo Rivera. Mr. Trump has actually tweeted a lot about obstruction of justice and Comey and collusion since Thursday’s hearing. He’s quite active, as are his surrogates at Fox News. 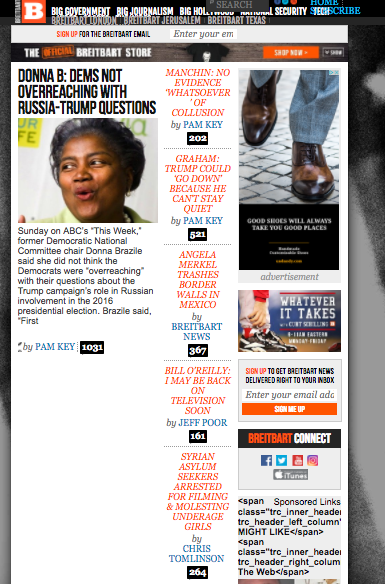 So I took a deep breath to plunge into the right-wing bizarro universe to see how these talking points were percolating from the financed, coordinated right-wing content slush pages. But guess what? Near total silence. Trey Gowdy was trending! 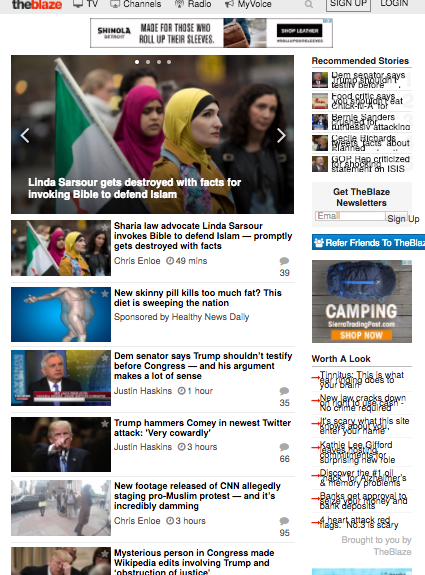 How about the oft-lauded Gatewaypundit? What the hell is any of that about? Pray for Melania, then see what she looks like naked! Oh yeah, Comey covered up Obama’s massive spying ring. Hm. Not exactly the hearing, but close. 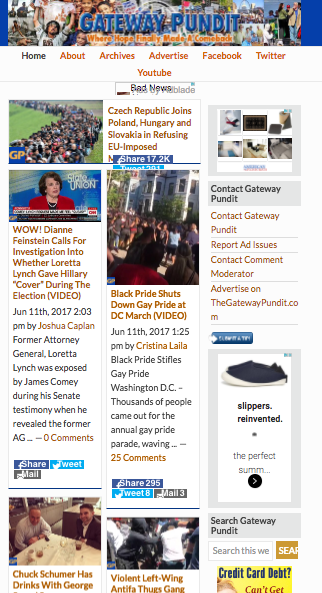 What say you, LifeZette? 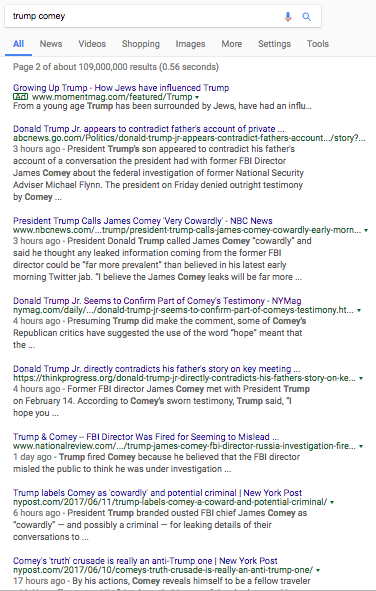 Though it seems clear these sites are—in keeping with their tradition of total disregard for evidence and truth—going to go after Comey as a leaker and a traitorous spy, the sites have so far sunk nothing into the “Trump Comey” search. Not only that, but they haven’t even begun to create much content, haven’t armed their readers with anger and easy-to-understand disinformation. 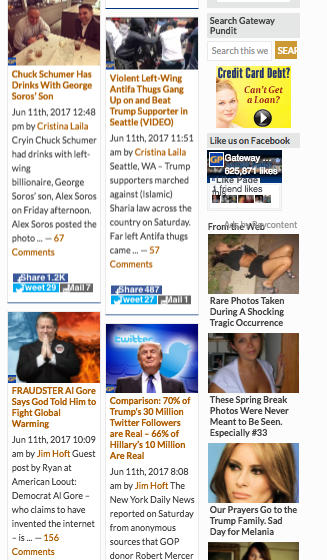 What’s more, the bots haven’t kicked in yet to share these stories far and wide and inflate backlink rankings. Why not? Because they’ll only fight for what they can win. The machine will let the MSM carry the day for now, because its small domains can’t take on all the hits and links to major news sites. 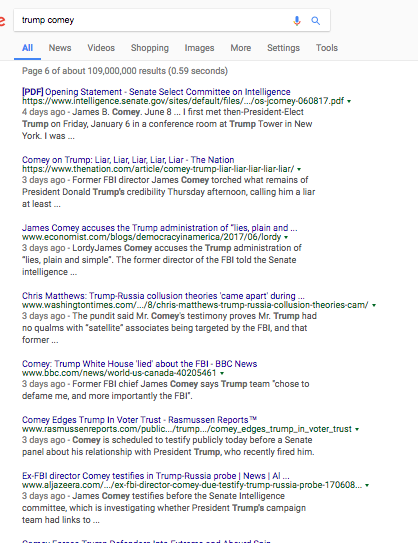 But in the next week or two, barring any major leaks or Comey headlines, the Mercer machine will likely hit Google hard and flood the “Trump Comey” results. Not only that, but waiting lets them catch backlash at its peak. Here’s how the system works. It’s top-down. First, Trump and major TV surrogates come out swinging with deflection and lies and create the bizarro narrative. 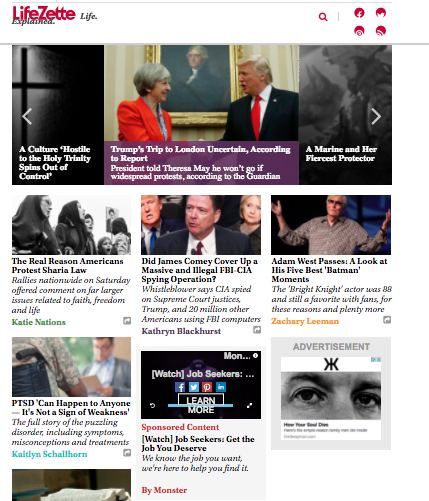 Then, major disinformation sites such as Breitbart and Infowars will write up day-of response pieces that echo those talking points. Then, silence. The MSM will own everything for about a week. Then, the rush. The alt-right machine will take the time to build their follow-up narrative and coordinate it across all the outlets—see my previous story for more evidence and background on how this is done. 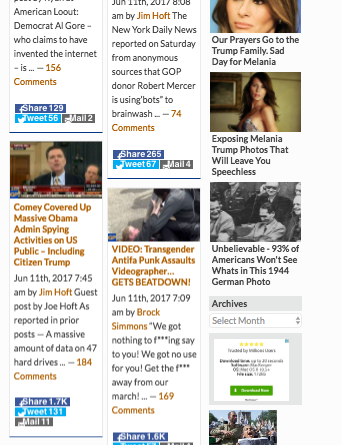 And in a week or so, these sites don’t have to compete with the MSM. They’ve got it all to themselves. This playbook is, I believe, the story of this strategy. And of course I could be wrong, but I wanted to start tracking this and other keyword searches over time and see how this misinformation campaign works. If you’d like to get in on it, track this search with me over the next week or two and let me know what you discover. Or track any others where you’ve noticed right-wing fuckery afoot. Maybe we can pick this thing apart. So how do you fight it? I’ve thought on this for a while, and it seems daunting. Google can’t do too much because this is perfectly legal and these sites are also protected under the First Amendment. Keep in mind that these sites aren’t really concerned with convincing people. They’re concerned with entrenching their audience in this alternate world, keeping their beliefs tied securely to their identity. This will hold the coalition together through what is going to be a really rough, bleak period ahead, when Trump is faced with impeachment. Or, God forbid, when another election comes along. The other aim, of course, is to confuse and exhaust the middle third of Americans who don’t keep up with the news. This is why I take my sense of exhaustion and dread as such a troubling sign: I love this stuff; if I can’t handle much more of it, I wonder how irritated most of America must be by now. But here’s the rub: this would require creating a ton of new content, and that content would compete not just with right-wing content farms, but with mainstream sources as well, where reasonable people are already getting a great deal of their information. The results would be, ironically and sadly, exactly what the right wing is trying to do in the first place: entrench both sides of the political spectrum, further the factual divide, and make civic dialogue impossible. Also, a flood of content from the left would bang up against the smooth white lies and misinformation from the right. This would only further confuse that middle 1/3 of the population. Again, this is what the right-wing wants: more confusion creates exhaustion and eventually apathy. The right-wing elite wants apathy because an apathetic public isn’t going to get engaged. Without that middle ground, there can be no consensus between right and left: the binding agent will have dissolved. The hope is there won’t be enough momentum or energy to take out Trump and the GOP. The congressional GOP won’t have to act if the popular momentum isn’t there either. Also, the left won’t be able to pick up new adherents if those people are repelled by the whole process, confused over who is guilty of what—Trump tweeted last night, not by accident, that the Democrats are “obstructionists”. In fact, there will be even more frustration and disunity in the Democratic party. Perhaps the worst intention is this: the crazy right-wing true believers are blackmail for the GOP. The more rabid this base is and the more committed they are to whatever irrational story justifies Trump, the more leverage they hold as a GOP voting bloc. But not just as a voting bloc: these people are angry and the right wing is purposefully making them angrier while simultaneously making dialogue and compromise impossible. There is another implicit bit of blackmail here: violence. At the end, though, this is all a desperate grab for power. Think about this: the more that people lie, the more they have to lie about. The forces driving this massive disinformation machine are dark. They’re cagey. They’re wealthy. They’re determined and might very well be desperate enough to wield political violence as a negotiating chip. I don’t know how to fight this one, so I appeal to you, to us. Hit me up @rlongennamer if you have some thoughts. Spread the word. Let’s dismantle this machine before it takes us apart.